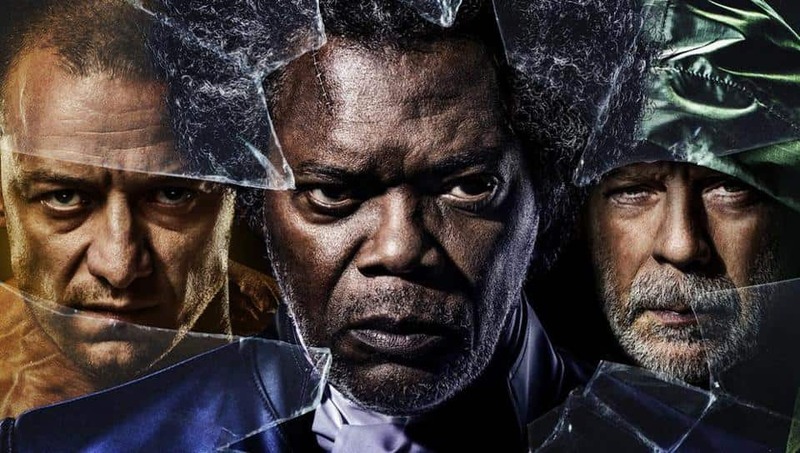 Glass Blu-ray review: Many great extras puts this one over the top – AiPT! Glass was the culmination of over 20 years of speculation, hopes, and wishes for many. There who were fans of the first film in the series, Unbreakable, no doubt, but others are fans of writer/director M. Night Shyamalan. That film, followed up by Split in 2016, set in motion a superhero movie universe nobody was expecting. Unexpected is quite literal considering Unbreakable came out at a time when superhero movies were few and far between. It’s a big reason why Glass is so special since it came from an original idea on the superhero genre, but it comes out at a time when new superhero movies come out every two months. Glass also comes out at a time where Shyamalan has had a resurgence thanks to hit movies and even producing a TV show. The film itself is an entertaining one albeit it has its flaws. I gave it a 7 out of 10 in my review when it was in theaters and summed it up by saying, “Great fun if you love comic books, but if you’re a casual fan temper your expectations, this is a bumpy ride.” It’s the kind of film that makes you wonder if deleted scenes would somehow shed light on the peculiar choices. According to BoxOffice Mojo, the film nearly made 250 million so it was clearly popular, but it feels much more like a film made for the fans of Unbreakable. Quite literally Shyamalan points this out in one of the featurettes in the special features. Speaking of which . . . This Blu-ray has nearly every special feature you could want minus a directors commentary. There are 14 featurettes ranging from 2 minutes to 4 minutes covering every aspect of the film quite well. They are quick and efficient mini-documentaries covering the music of the film (recorded in the same mental hospital as the film takes place), a focus on how the visuals and color palette was different for each of the films in the trilogy, the cast commenting on working with Shyamalan again, and the special effects work just to name a few. They’re all worth watching and help give some perspective on the filmmaking process. It is worth noting Bruce Willis appears to have checked out of any contributions to these aside from candid moments on set. There’s also a fun conversation/interview between Shyamalan and James McAvoy. Fans are going to be most intrigued by the deleted scenes as there are 13 in total. Nearly all of these scenes are a minute or less long and certainly did not need to be in the film. That said, a few additional interesting layers that would have changed the narrative in a subtle way. The biggest change of them all is an alternate opening which shows men putting up cameras and setting up the special rooms for the three main super-characters. Some of this footage was still used but was later in the film. It’s an interesting choice since it sets up the fact that the imprisonment of the characters was already in motion before they ever entered the mental hospital. It ends up giving away a twist that you don’t see coming. Probably the next most important deleted scenes involve Mrs. Price who had three scenes snipped from production. They help flesh out how she not only helped motivate Mr. Glass to break free, but her motherly nature walks a fine line from being a bit immoral and in favor of her son even though he’s a murderer. Other scenes include a little more focus on mental hospital attendant Pierce (most likely to make his death all the more shocking) and subtle character work on a few characters. Surprisingly the nearly mute Bruce Willis in the main production does not have more than a line of additional dialogue via the deleted scenes. Overall, rewatching Glass and getting new insight into the production has improved my opinion on the film. The legacy it upholds and how it closes out the trilogy is a triumph when you consider all the superhero films that come out these days. It’s a film experience well worth watching because of the history, but also the achievement in telling a unique story that is held up by exceptional acting, cinematography, and music. Overall rewatching Glass and getting new insight into the production has improved my opinion on the film. The legacy it upholds and how it closes out the trilogy is a triumph when you consider all the superhero films that come out these days. It's a film experience well worth watching because of the history, but also the achievement in telling a unique story that is held up by exceptional acting, cinematography, and music.